Savour 4 different types of authentic handmade noodles, including Chef Ai Min’s secret recipe – “Long Xu” La-Mian, specially created in Beijing and brought over for your indulgence! Chef Ai Min is presenting his specialty – ‘Dragon Beard’ Handmade La-Mian, symbolizing very fine noodles pulled together and made with his special mix of three different types of flour to create that unique texture of extremely thin noodles to tantalize your tastebuds! The newly introduced Noodles menu includes new dishes like all-time favourite Homemade Wanton Noodle Soup Hong Kong style, Sichuan Dan Dan Noodles, Vegetables and Meat Dumplings Noodle Soup, and Beef Noodles in Superior Stock. All these while retaining the favourites such as signature Whole Premium Abalone Noodle Soup, Sea Perch Noodle Soup, Tiger Prawn Noodle Soup and Stewed Beef Brisket with Tendon Noodles – now in Superior Beef stock, specially crafted for your dining indulgence. Keeping novelty and variety in our new menu, Chef Ai Min will be creating different varieties of his á la minute handmade La-Mian each month, starting with Noodles with Fresh Tomatoes and Eggs, or with Shredded Chicken and Onion Oil. Check out our new offerings and be pleasantly surprised at every visit to Noodles! 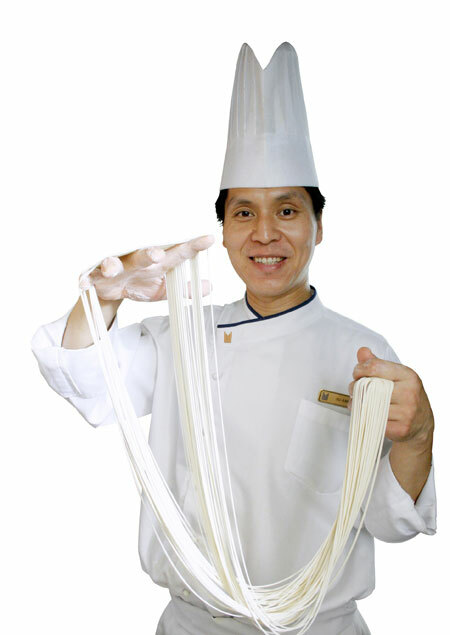 Chef Ai Min’s specialties consist of his own interpretation of Noodles, which come in various options to choose from: Handmade La-Mian, his signature ‘Dragon Beard’ Handmade Thin La-Mian, the Handmade ‘Ban Mian’ and Egg Noodles. Authentically hand-made a la minute in our open kitchen, diners can expect the freshest and the best quality noodles. To complement your bowl of comfort food, Chef Ai Min has thoughtfully added a range of delightful side dishes ranging from Minced Meat and Vegetables Dumplings or Prawn Wantons in Superior Broth, to Pickles and Vegetables. 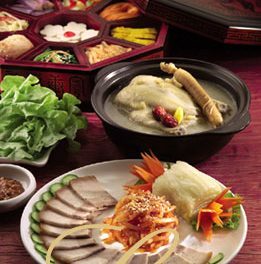 A bowl of delicious noodles is priced from $7.80 and side dishes from $3.00. 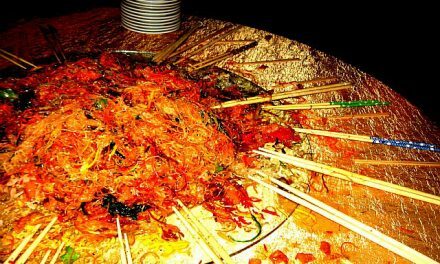 Changing the perception that Chinese delicacies command a premium price tag, “Noodles” allows everyone to enjoy premium noodles at affordable prices, without compromising on quality. NextWelcome to Singapore, enjoy the food!